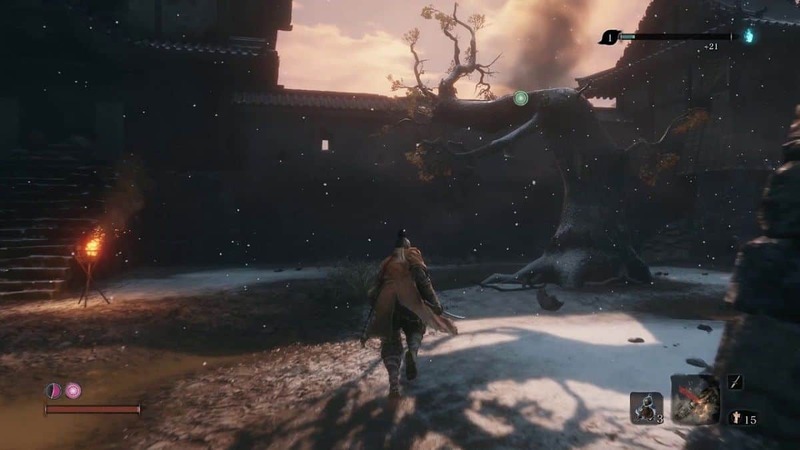 Getting to the very last boss and putting him down is a great accomplishment in Sekiro Shadows Die Twice. However, completing the game in its entirety, yes we’re talking 100% completion, is a feat of its own. Here are the checklist and guide for you to nag all the Trophies/Achievements to ensure you’ve lived through the whole experience of the game. 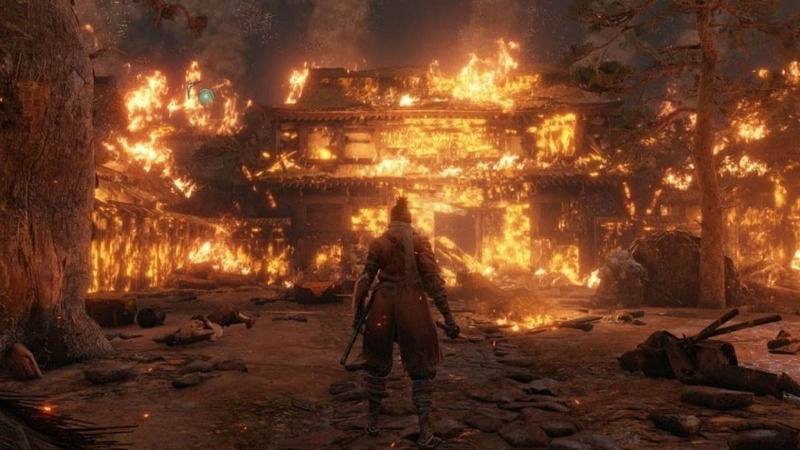 Achievements in Sekiro are comprised of those that are unmissable and part of the main story, and those that you’ll need to detract from the main path to collect. It’s not going to be easy in the slightest but bear with us as we try our best to get you to that Platinum Trophy. This is a part of the story as you wake up after your defeat from the Prologue boss. You’ll have this tool equipped automatically so the Trophy is unmissable. Received the “Kusabimaru” from Kuro. Part of the story! During the Prologue, the events take you to meet Kuro in the Moonview Tower where you’ll be granted the blade. Upon your first death, which we reckon would be quite soon, you’ll be introduced to the Resurrection Mechanic. This second chance at life will be your first one and the Achievement pops up at that moment. 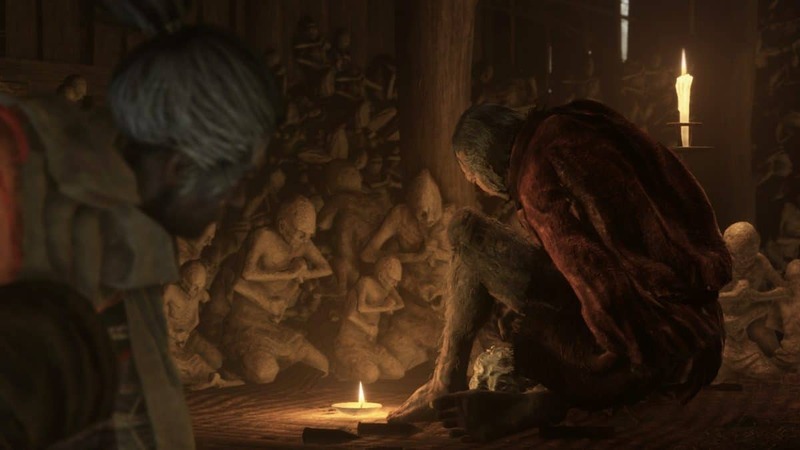 The Memorial Mob is one of the vendors/merchants that you’ll encounter in the game. Head to our Merchants Guide for instructions on the location of this NPC and the item he sells. You’ll just need to interact with him for the Trophy. Used the Mortal Blade to sever the Guardian Ape’s undying. In the Ashina Depths, after defeating Snake Eyes, you’ll encounter the Guardian Ape again. The fight takes place in a smaller area. While avoiding his shrieks, look for the windows of opportunity to grapple and attack it. After the first phase is passed, as you perform the Deathblow, the Guardian Ape calls down a companion to fight alongside him. To deal with this second ape, use the Fireworks Prosthetic to build its stagger bar and eliminate the ape quickly. Now, back to Guardian Ape, after you deliver the final Deathblow to get rid of him, continue slicing his corpse. This will allow you to perform a third Deathblow animation that will get rid of the centipede the Ape was harboring inside. That’s all you need to do for the Trophy! You need to purchase the last skill in a skill tree pertaining to any Art type. The Ashina Arts seem to be the most ideal branch for the Trophy since it’s the least amount of skills to purchase. As the description says, you need to maximize your vitality and posture gauge. This is done by collecting the special item, Prayer Bread. Primarily, the item is obtained as a loot drop from bosses and mini-bosses, but there are some locations where you may find these. You can find locations and methods for all the Prayer Breads in our separate guide. Fully upgraded the “Healing Gourd”. Healing Gourd is your main health regeneration consumable, like the Estus Flask or Blood Vials from the Dark Souls games and Bloodborne respectively. In order to upgrade the capability of the consumable, you’ll need to collect a total of 9 Gourd Seeds from different locations. You can read all about these locations in our Gourd Seeds Guide. Similar to Combat Arts, the Ninjutsu Techniques can be equipped in your inventory and they allow you to perform devastating abilities. There are three such techniques and are acquired by eliminating specific foes. Learn all about these special combat techniques including instructions on how to acquire them in our Ninjutstu Techniques Locations Guide. To acquire the Lapis Lazuli item, you’ll need to have made it to the Fountainhead. Head past the Great Sakura idol and then to the back of the tree nearby here. You’ll be able to make out a waterfall. Move upstream and get rid of the wolves to make it to a Shichimen Warrior with glowing purple orbs surrounding him. You should have fought this exact same enemy before. Use a Divine Confetti for this fight and once you’ve dealt enough damage, the warrior will teleport and start charging a large laser. Avoid it by running diagonally and then get back to fighting the foe. Eliminate him the warrior to be rewarded Lapis Lazuli as the loot drop. Now simply, use it on any item to maximize its upgrades and earn the Trophy. You’ll need to pay a visit to every area in the game, including the last one, Fountainhead Palace, which you can only reach by making a specific decision. For this trophy, you’ll need to acquire all Esoteric Texts to unlock the skill trees for all the five different types of Arts: Shinobi Arts, Prosthetic Arts, Ashina Arts, Temple Arts, and Mushin Arts. We have a separate detailed guide for obtaining Esoteric Books as well as the skills you can purchase under each Art’s skill tree. Acquired and upgraded all Prosthetic Tools to their limit. There are separate Achievements, one for obtaining all the 10 different Prosthetic Tools and the other for upgrading them all. You can find them at different locations or as rewards for completing specific tasks. Upgrading them requires the Mechanical Barrel tool that you obtain from defeating the very first boss. Head to Prosthetic Tools Guide for descriptions of all the locations as well as what to do exactly for upgrading the Prosthetic Tools. 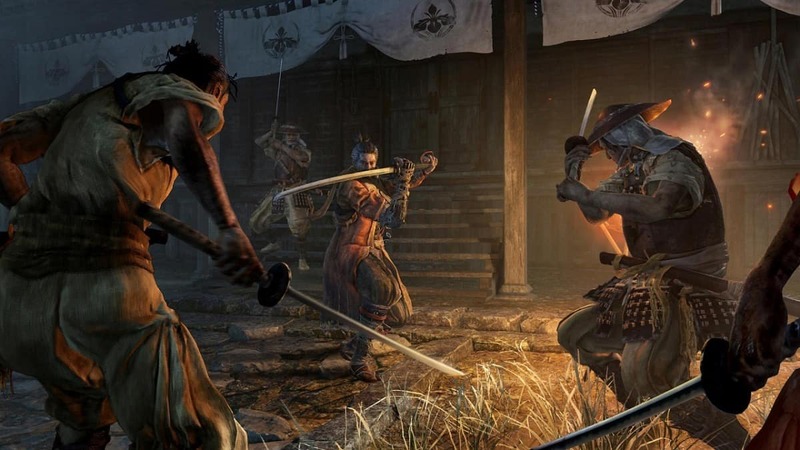 There are a total of four different endings in Sekiro Shadows Die Twice. These involve making specific decisions and choosing to side with certain NPCs via dialogue options. There are two additional endings for completing the game. The “Father Surpassed” Trophy is unlocked upon ending the game with the “Purification” ending. The “Sword Saint, Isshin Ashina” Achievement is triggered upon finishing the game’s campaign on any ending except the “Shura” one. The Platinum Trophy, the reward for all your hard work. This marks 100% completion of your experience.